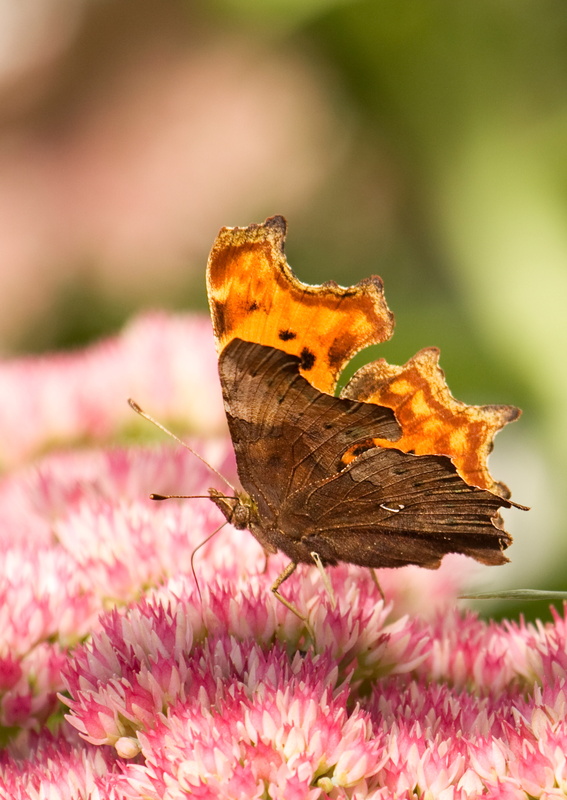 Butterflies can be found in a wide variety of habitats and there are approximately 60 species in the UK. Many have a limited range of food plants. At Gorse Hill Nature Reserve we try to provide habitat and plants to encourage butterflies and they, in turn, act as pollinators and add to the food chain for other species. Plus, they are fabulous to watch. 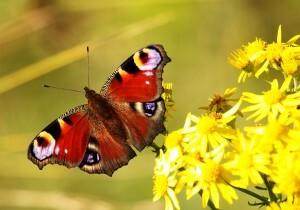 The Peacock butterfly has striking eye spots and bright colours. 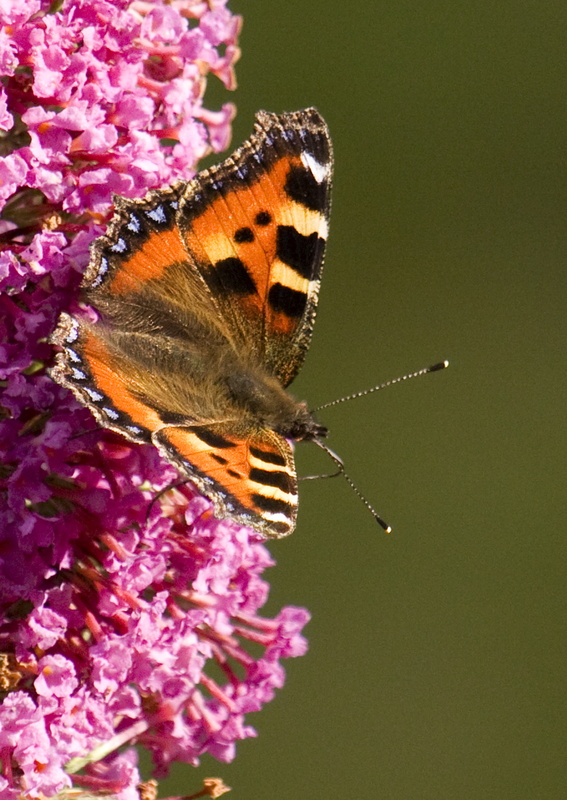 Particularly fond of buddleia and from July onwards this butterfly can be frequently seen throughout the Reserve. The Speckled Wood butterfly flies in partially shaded woodland with dappled sunlight and is widespread throughout the Reserve. 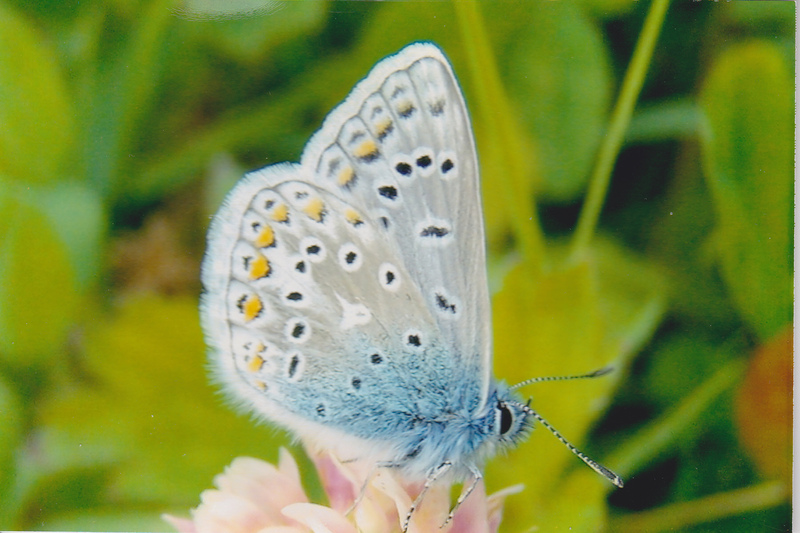 A beautiful butterfly, the Common Blue is found in grassy areas and we grow Bird’s-foot trefoil which is its favourite food source in order to attract this species. 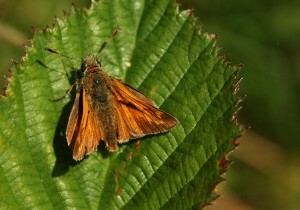 A grassland butterfly, the Large Skipper can be found in meadows and woodland rides from May onwards. The scalloped edges of the Comma are very distinctive and it has the shape of a comma punctuation mark on its underwing. 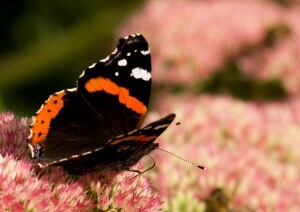 It feeds on nectar and rotting fruit. 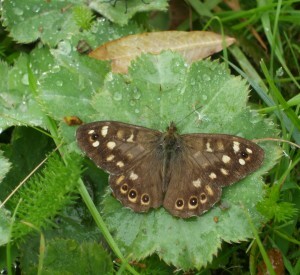 It hibernates over winter emerging in early spring and can be seen in two successive broods through to September. 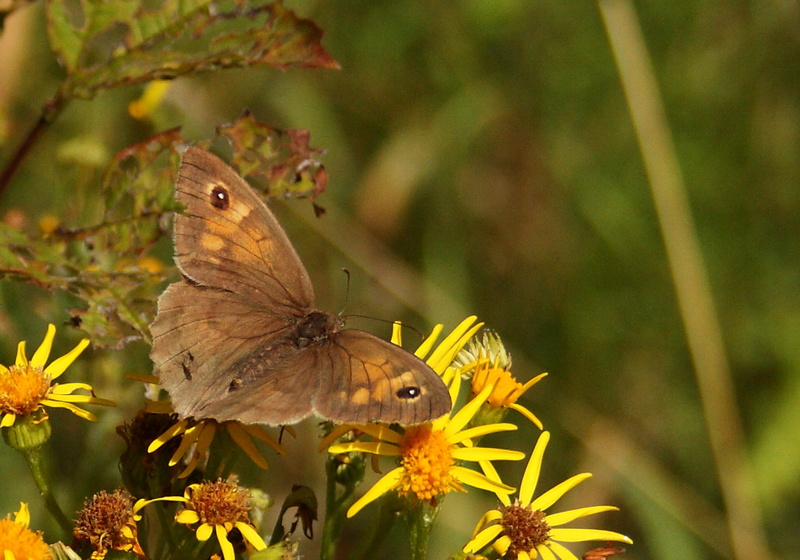 Widespread across the Reserve, the Meadow Brown enjoys our meadows and woodland rides. The Red Admiral is a very distinctive butterfly and can be found in almost any flowery habitat. The species is mainly a migrant visitor. Not the vegetable growers favourite butterfly! 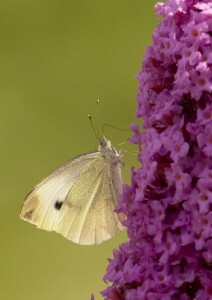 The Small White is a common species and is a good pollinator of flowers but favours the cabbage family of plants for its larva. 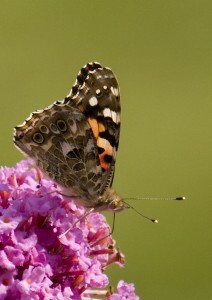 The Painted Lady is a migratory species, resident in north Africa and southern Europe. It is a summer visitor and can appear in large numbers. 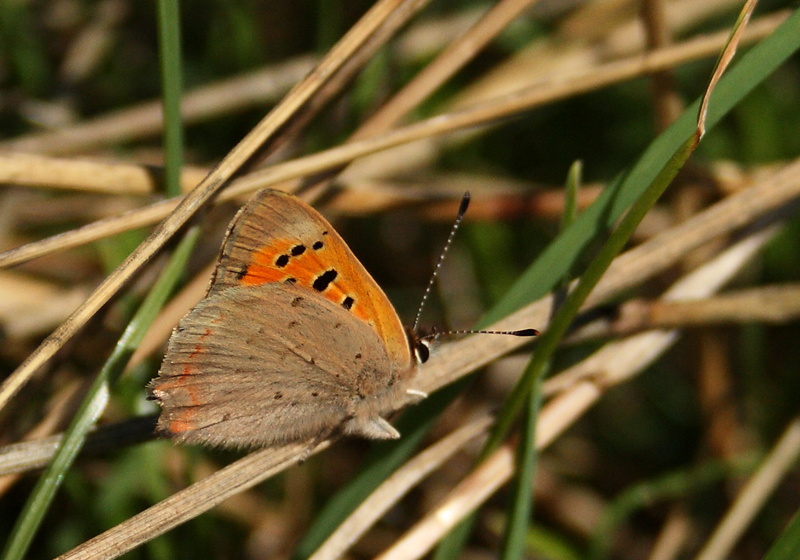 The Small Copper can be found in grassy, flowery places and seen in our wildflower meadows and woodland grassy rides. 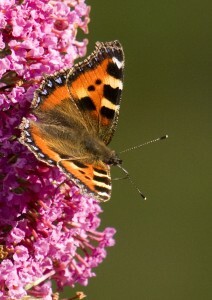 The Small Tortoiseshell butterfly hibernates over winter and emerges in early Spring and can been seen from March through to October in successive broods. 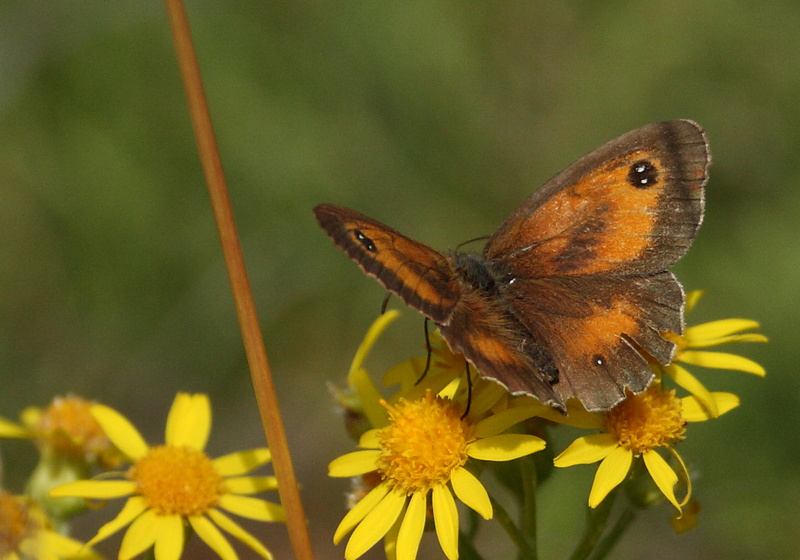 The Gatekeeper butterfly is true to its name, commonly found near the gated entrances to our meadows and woodland rides! Other butterfly species recorded on the Reserve (photographs are not available as yet) are the lovely yellow Brimstone, Holly Blue, Large Tortoiseshell, Large White, Small Skipper and Orange Tip.